If you’ve just completed Body Beast’s Bulk and Build phases and you followed the meal plan correctly, you should be seeing some pretty significant mass gains. Now it’s time the get shredded with the Beast Phase of the program, where the goal is to reduce body-fat percentage while maintaining muscle mass. This is achieved by drastically reducing the amount of carbs and increasing the percentage of your calories coming from protein sources. Why Do I Have to Cut Carbs? With this plan, you’re still allowed some carbs and fruit to maintain those gains you’ve earned from months of intense training. However, the reduction of carbs and proper meal timing are necessary if you want to look shredded and really show off your results. This is because your body will not burn stored fat if there’s a constant supply of glucose in the blood to burn for energy, so you must make sure you eat at the right time for maximum results. This phase of the diet plan may take a bit more discipline, since you’re consuming less calories and carbs, but discipline is part of creating healthy habits. So, a quick tip for cutting is to time your carbs strategically: Avoid eating your carbs (yellow containers) before your workout. Try to stick with protein (red), vegetables (green), and healthy fats (blue) for your pre-workout meals and snacks. This ensures that there isn’t excess sugar in your blood so you maximize fat loss during your workout. Make sure you have enough containers and refrigerator space to accommodate such a big prep. 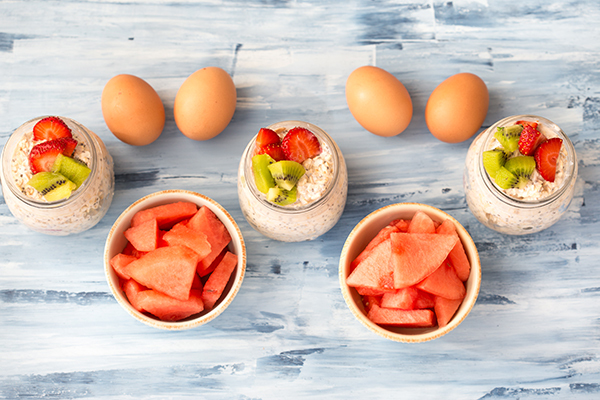 You can’t go wrong with reusable, BPA-free meal prep containers and mason jars as storage containers. You’ll need to fill the following portion-control containers every day during this phase of the Body Beast diet, but adjust the numbers to fit your caloric needs. Season the chicken breast, place in a pan and cover with aluminum foil. Bake for 25 minutes at 425 degrees Farenheit. Broil: Place in a pan under the broiler for 7 to 9 minutes on each side. Grill: Cook until golden brown, about 4 to 5 minutes, then turn steak over and cook for another 3 to 5 minutes for medium-rare, or 5 to 7 minutes for medium. When sautéing, cook on low to medium heat so as to not cook nutrients out of vegetables. For maximum nutrients, steam your veggies. Managing lots of leftovers can be a struggle. Trying to finish everything before it goes bad can sometimes seem like a gustatory juggling act that inevitably falls back down to earth when that succulent steak you grilled to perfection over the weekend transforms into a slimy smelly piece of meat a few days later. And when holiday season rolls around with its mounds and mounds of delicious home-cooked food piled on the table, keeping on top of leftovers before they become compost material can get annoying and frustrating. Following a few simple food safety rules can make your extra food last longer and keep your grocery bill down. I style myself as a bit of a food safety expert since I work from home and normally make up a batch of protein on the weekend — slow cooker pork, roast chicken — and then keep it to mix into meals for the rest of the week along with some carbs — wild rice, sweet potatoes — and a few sides of veggies like steamed broccoli and chopped greens. But what’s essential to keeping on top of all of this food is, one, make sure you are eating it consistently, and then knowing how to store it, and when it’s time to throw it into the compost bin or trash. Why Does Food Go Bad? When food spoils, it’s usually because bacteria — like Staphylococcus, Salmonella, E. coli, and Campylobacter — starts feasting on it after it cools down to temperatures that can support bug life. If the food is not sealed and put away in either in the fridge or freezer, the bacteria can multiply to dangerous levels or create toxins that can cause illness when ingested. Exposure to oxygen — which helps microorganisms grow, encourages enzymes in the food to react faster, and make fats, or lipids, in the food smell and taste funny, like oil going rancid — is another factor effecting food’s longevity. Water and light are also culprits in spoiling food — water by giving microorganisms like mold and bacteria the moisture they need to rapidly colonize the food, and light by degrading the structure of the food by breaking down nutrients and pigments. Controlling temperature is the final key to keeping your foods from spoiling as a cold enough environment will stop or slow the growth of bacteria — food should be kept out of the so-called “Danger Zone” of 40 degrees F to 140 degrees F, which is the range bacteria thrive in. Never leave food out for more than two hours during most of the year as the temperature will quickly adjust to whatever it feels like in the room — cut that back to one hour in the summer when temps can get above 90 degrees F.
What Can I Do to Keep Food From Spoiling so Quickly? If you can control these three factors — air, water, light, and temperature — you will be able to maximize your leftovers life, saving you money and time spent cooking new dishes to replace your rotten and smelly food. Food waste in the U.S. is a huge problem, with the Environmental Protection Agency estimating that we threw away over 38 million tons of food in 2014, with only five percent going to a composting program. Food spoilage takes up 21 percent of municipal solid waste and about one third of that is fruit and veggies, says the U.S. Department of Agriculture. First off, to protect the food — and your family — invest in some good quality re-sealable containers like the Glasslock products, which latch tight, are easy to reopen, have glass bottoms that won’t hold odors or stains, and is safe for the oven, freezer, or microwave. Beachbody’s Portion-Control Containers are another way to store your food while keeping tabs on your food portions. These high quality plastic containers are BPA and DEHP-free, dishwasher and microwave safe. Another tip is to write on the lid of the container with a dry erase marker to record the date and time you put the food into the fridge or freezer. Next, make sure your refrigerator and freezer are operating at the right temperature — the fridge should be at or below 40 degrees F and 0 degrees F for the freezer. Buy a special thermometer designed for either appliance, put it inside and check frequently so you know for sure that your food is well out of the danger zone. And remember that just because your food is in a properly cold fridge, it won’t keep it from eventually spoiling, that’s the job of the freezer. Don’t pack your fridge tight — food needs the cold air to circulate around it to keep it cool — and make sure you clean it out regularly to prevent old, rotten food from spreading bacteria. What is the Shelf Life of Foods? When safely put away in the freezer or fridge at the right temps, foods will last longer, but there are varying ranges of time that affect every food’s ability to last. Here’s a handy chart pulled from the U.S. Department of Health and Human Services that can help give you a general idea of how long common foods will last. What are Some Holiday Leftover Strategies? The holidays can offer extra challenges for the frugal leftover lover as the sheer amount of food you bring home (or cook at your house) can overwhelm even the most dedicated fridge denizen. Here are some quick tips to keep you safe and satiated this holiday season. • Try to eat up most of leftover food in your fridge the week before the big day so you have extra room to pack in all of those delicious dishes you couldn’t quite devour. • If going to someone else’s house for your meal, bring along a cooler with cold packs so your food will survive the trip home without warming up enough to make it into the danger zone. • Take out any stuffing from your turkey once the meal is finished. Refrigerate both the turkey meat and the stuffing separately, and make sure to put all food leftover in the fridge within 2 hours. • Again, a good general rule is to keep food in the fridge for only 3 to 4 days, or put the bulk of it in the freezer so you can thaw it out and enjoy it later. Investing in a vacuum sealer can help dramatically extend the life of your holiday delicacies. Now you’re an adult and you want to drop some pounds. But that means you need to dial in your diet and finally face the foods that make your palate pucker. Whole, unprocessed foods like lean proteins, veggies and fruit, and whole grains help form the foundation of a balanced, healthy diet, but pickings can get slim if your taste buds don’t mesh with the foods that can help you lose weight. Luckily, there are ways to get around your picky palate and expand your food horizons. But first, let’s take a quick look and see how it all started. 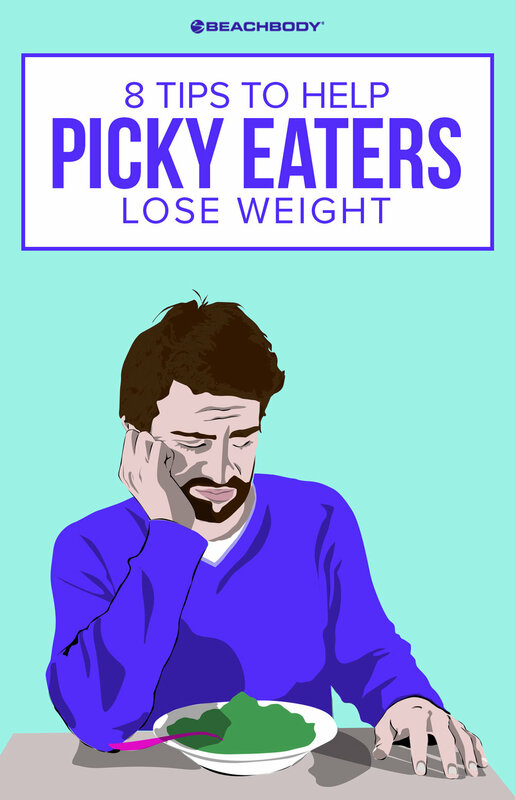 Picky eating is most often associated with stubborn kids who won’t eat their veggies or try something new. But a person’s food preferences may be genetically preset: In a 2007 study, the long-standing debate of “nurture versus nature” was applied to picky eating. For some foods, particularly produce and protein, children simply showed an innate like or dislike. Kids are also born with palates that tend to be more sensitive to bitter and sweet flavorsthan adults, so what you may have hated as a child (boo, spinach! ), you may love as an adult (hello, spinach and broccoli strata!). Then again, some picky kids simply grow into picky adults. The journal Appetite reports that adult who are picky eaters have the same taste sensitivity that they had as picky kids: Picky-eating adults described sweet and bitter flavor profiles as more intense than non-picky eaters. Bad memories can steer you away from certain foods, too: “Often times, picky eaters are remembering past likes or dislikes about certain foods that they haven’t even tasted in 10 years,” says Brigitte Zeitlin, M.P.H., R.D., founder of BZ Nutrition. But that doesn’t mean you have to choke down those carrots or hold your nose while you shovel greens in your mouth. Here are 10 ways to work with what you’ve got. “You’re already eating more foods than you think you are, so try to deconstruct your favorite meals and see what other foods you can be eating from that,” says Zeitlin. If you’ve said “pass” on certain foods for a long time, you might be in for a surprise. “Tastes change over time, so it is important to revisit foods every so often,” recommends Zeitlin. If you find you’re still not a fan of specific flavors, even decades later, all hope is not lost. Try cutting out many sugary/salty/fatty processed foods for a few weeks and you may be able to retrain your taste buds to recognize the natural sweetness in foods like fruit, instead of the “hypersweet” version in processed foods. Instead of changing everything you eat all at once, start with small changes. Instead of a side of potato chips, try a veggie-filled pasta salad instead. Or try a different way of cooking your food: Instead of frying, try baking or grilling. “Small changes can lead to big changes but feel less overwhelming at the time,” says Zeitlin. Remember that just as baby steps take a longer time for a child to get from point A to point B, so does making small changes with your eating. However, if you stick with it, you can gain speed and make progress. “One of my clients was eating fast food for every meal before we met,” says Stephanie Jensen, Certified Personal Chef of La Cuisine Personal Chef Service. Worried her client would never make the switch to a healthier plate, Jensen started simple, using ingredients the client was familiar with and branching out with new items slowly and occasionally. She also paired new ingredients with old favorites to help make meals more palatable. “Five years later, I’m still cooking for [this client],” she says. If Taco Tuesdays are your jam, keep the Mexican theme dinner, but give the ingredients a facelift by using lettuce wraps in place of taco shells and swapping plain Greek yogurt for sour cream. Lighten up classic mac and cheese by pureeing butternut squash or carrots to mix into the cheese sauce. Instead of prepackaged spice blends, salad dressings, or marinades, make your own at home. They’re easy to throw together, healthier, and less expensive than store-bought varieties. Mix fresh fruit with plain yogurt and a touch of honey for a less-sugary version of the pre-flavored yogurt cups. Swap in “zoodles” in your next pasta dish, or shred spaghetti squash. 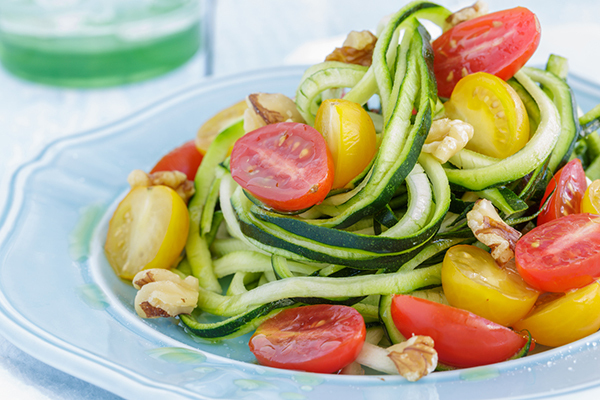 But if veggie noodles are a step too far, try simply swapping out half of your regular white pasta for a bean pasta or a whole-grain quinoa or wheat pasta. Cooking with new ingredients can be tricky, especially if you’re not sure how something is supposed to taste. Leave your first bite to the professionals when ordering meals incorporating new-to-you ingredients such as quinoa, Brussels sprouts, or eggplant. “It might take some trial and error, but in the end you may find a whole new list of ingredients that you can put into your meal rotation,” says Jensen. @autumncalabrese: Creator of 21 Day Fix, Autumn Calabrese shares yummy meal pics as well as bonus exercises and motivation to keep you moving toward your goals. @bobbycalabrese11: Chef brother to Autumn and co-host of FIXATE, Bobby Calabrese’s Insta feed is a feast for the eyes. Not sure what kind of new foods you might like? Ask a foodie friend to be your guide. “The buddy system works in the gym as well as the kitchen,” says Zeitlin. If you’re not ready to commit to a full meal, order shared plates or family-style meals. Or steal a bite from your pal’s plate for a tiny taste test. Whatever you choose to do, don’t get discouraged and don’t stop trying new ways to enjoy healthy food. Let’s be frank: Cooking for one can be challenging. And it’s not just single folks who face this issue. If you’re trying to eat healthy and the family wants to stick with their old standbys, you’ve probably tried to figure out how to eat healthy, feed your family, and stay on budget. Here are some tips and tricks that will make going it alone on your healthy journey a bit easier. Kudos to you for doing Sunday meal prep. But if your life is such that once the week gets started, plans change, things come up after work, and most of those meals go to waste, considering going to the grocery twice or three times a week instead of doing one big trip. By hitting up the market more often, you can more readily consider what you have left on hand that still needs to be used like that leftover takeout chicken and the asparagus that you bought on the last trip. Instead of buying greens and salad toppings individually, it is often cheaper to purchase small portions of pre-made salads at the salad bar, points out Lisa Lee Freeman, savings expert for the coupon app Flipp. Be smart about it though: Since you pay by the pound at the salad bar, skip heavy-but-cheap toppings, like cucumbers. Buy those separately and add when you prep. “The secret to shopping smart is know how long things last, and figuring out what you can and cannot buy in bulk,” says Freeman. You can freeze extra portions of chicken or turkey and store nonperishable food—like dry beans or grain—in your pantry. Good news: Frozen fruits and vegetables are close to just as nutritious as their fresh counterparts, according to a study in American Journal of Lifestyle Medicine. They’re a great choice if you’re cooking for one since they don’t spoil as quickly as fresh produce and who doesn’t love frozen berries in their smoothie? Use your freezer for everything that may spoil, from bread and meat to leftovers. Doing so will make sure you always make sure to have a few single-serve frozen meals on hand for when you need a meal in a pinch. Chilis and soups are some meals that freeze well, but so are healthy chicken enchiladas and egg cups! Is there any fruit that’s more “summer” than than pineapple? Ok, ok, strawberries do give them pretty good competition. But, no matter what your favorite summer fruit is, it’s hard to to deny that whether you’re eating pineapples straight, grilling them up, or throwing them into a salad (or a smoothie! ), the golden, tropical fruits scream summer. They’re good for you, too. Raw pineapple chunks provide manganese, vitamin C, fiber, magnesium, and copper. Pineapples are delicious, sweet, pinecone-shaped plants grown most often in tropical countries like Thailand, Brazil, the Philippines, and Mexico. In the U.S., they only grown in one state: Hawaii. And, despite their name, pineapples are not related to apples at all. They actually look more like agave or yucca. When are pineapples in season? You’ll find pineapples year-round in most grocery stores, but their peak season runs from late spring to early fall. Unless you live in Hawaii or one of the countries mentioned above, it’s unlikely that you’ll find any at your local farmers market. How do I choose a good pineapple? A pineapple’s crown — the green leaves — should be bright green in color and the pineapple should be heavy for its size. A fully ripened pineapple offers a sweet fragrance and will be fairly firm to the touch. Avoid pineapples with bruises, soft spots, and dry leaves. How do I store pineapples? Pineapples can be kept at room temperature for up to five days, but they should be kept out of direct sunlight and away from heat. Store cut pineapple in a tightly-covered container in the refrigerator, and it should stay fresh for about a week. How do you cut a pineapple? You could buy pre-cut pineapple in cans or fresh at the store, but cutting your own pineapple isn’t hard. In fact, we bet you could do have the whole pineapple prepped in less than 2 minutes. Getting past the spiky exterior is the first step, and that can be tricky. First, chop off the crown and the base of the pineapple. Then, go around the edges and slice off the exterior. Cut the pineapple into quarters and then slice down the middle of each quartered section to remove the core. From there, slice the pineapple lengthwise and then turn and slice into chunks. If you’re doing the 21 Day Fix or any other program that uses the Portion Control Containers, pineapple can be found on purple Potion Fix Container list. What are some healthy pineapple recipes? Make This No-Cook 21 Day Fix Meal Prep in About an Hour! When it gets warm, the last thing you want to do is turn on the oven! That’s where this no-cook 21 Day Fix meal prep comes in. 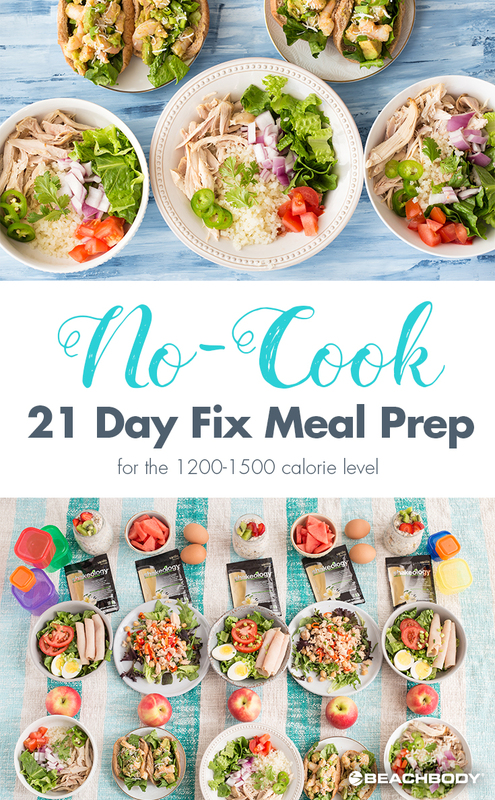 While it’s designed specifically for anyone doing the 21 Day Fix and eating between 1200 and 1500 calories, it’s great for anyone looking for a healthy meal prep. If you need more calories, increase the portions or add a snack like one of these. So, go ahead, give your oven the week off! 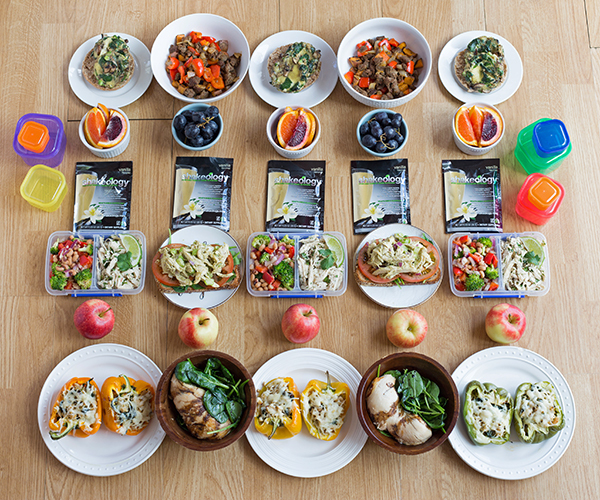 Keep reading for your 21 Day Fix Meal Prep step-by-step instructions and grocery list. Prep the vegetables and herbs. Rinse romaine lettuce, allow to air dry, and chop 6¼ cups. Rinse spring lettuce mix and allow to air dry. Remove the skin from one red onion and dice into small pieces. Rinse, deseed, and dice ½ cup red bell pepper. Rinse and chop 1 cup + 2 Tbsp. tomato. Rinse and dice ⅜ cup (6 Tbsp.) green onion. Rinse and loosely chop ½ cup parsley. Rinse and loosely chop ⅜ cup (6 Tbsp.) cilantro. Rinse, deseed, and slice 3 Tbsp. jalapeño. Store any unused vegetables for future use. Prep the Healthier Ranch Dressing for the Cobb Salad. In a food processor, combine 2 Tbsp. dried parsley, 2 tsp. dried onion flakes, 2 tsp. onion powder, 2 tsp. garlic powder, 1½ tsp. dried dill, 1½ tsp. dried cloves, 1 tsp. salt, and 1 tsp. ground black pepper; pulse until well mixed. Add 1 Tbsp. seasoning to ⅓ cup 2% plain Greek yogurt and ⅓ cup low-fat buttermilk; mix until well combined. Pour 2 Tbsp. dressing into 3 small containers. Store extra seasoning mix in the pantry and extra dressing in an air-tight container in the refrigerator for future use. Make the Cobb Salad in 3 large storage containers. To each container, add 1¼ cup chopped romaine lettuce, 2 Tbsp. diced green onion, 2 Tbsp. chopped tomato, 3 slices deli turkey, and 1 hard boiled egg. Make the Tuna Antipasto Salad in 2 large storage containers. Open and drain the chickpeas and 2 cans of tuna. To each container, add 2 cups spring lettuce mix, ½ cup chickpeas, ¾ cup tuna, ¼ cup red bell pepper, and ¼ cup chopped parsley. Store the lettuce on top of the tuna salad to keep from getting soggy. When ready to eat, drizzle salad with juice from ½ lemon and 1 tsp. olive oil. Prep the Avocado Shrimp Rolls. Stir together 2 tsp. mustard, juice from 1 lemon, large pinch paprika, and ground black pepper, to taste; divide dressing between 2 containers and store. Chop the pre-cooked shrimp into large pieces; divide between 2 containers with ¾ cup shrimp going into each container. When ready to eat, dice ¼ ripe avocado and store remaining in an air-tight container for future use. In a small bowl, toss diced avocado with ¾ cup pre-cooked shrimp and 1 container of dressing. Fill 1 small whole wheat bun with ½ cup chopped romaine lettuce, shrimp mixture, and top with 2 Tbsp. shredded unsweetened coconut. Prep the Chicken Burrito Bowls. Microwave frozen cauliflower rice per package instructions. Meanwhile, debone the rotisserie chicken and shred the meat. Once cauliflower rice is warm and chicken is shredded, assemble the burrito bowls. To 3 large storage containers, add ½ cup cauliflower rice, ¾ cup shredded rotisserie chicken, ½ cup chopped romaine lettuce, ¼ cup chopped tomato, ¼ cup chopped red onion, 2 Tbsp. chopped cilantro, and 1 Tbsp. sliced jalapeño. When ready to eat, top each salad with ¼ diced avocado and 1 tsp. olive oil. Make the Tropical Overnight Oats. Slice 3 kiwi in half and use a spoon to separate the fruit from the skin; dice kiwi and set aside. Rinse and slice 1½ cups strawberries. In a large bowl, combine 1½ cups old-fashioned oats, 6 tsp. chia seeds, 3 cups kefir (or Greek yogurt), 1½ tsp. vanilla extract, 3 diced kiwi, and 1½ cups strawberries. Mix until well combined; divide mixture between 3 storage containers and refrigerate. Prep Watermelon and Egg breakfast. Cut 2 cups watermelon into bite-sized pieces. Divide between 2 storage containers. Serve with 2 hard-boiled eggs. Prep the Apple with Peanut Butter snack. Portion 1 tsp. peanut butter into 5 storage containers. Serve with medium apple. If you think love is a battlefield, try finding something healthy and delicious on a restaurant menu. Most menus are full of caloric land mines determined to whet your appetite and derail your diet. The struggle is real, but it’s not impossible. That’s why we called on top nutrition experts to recommend the healthiest options they’d eat themselves at some of the nation’s most popular restaurants. These healthy eating experts also share practical tips for choosing better-for-you and clean-eating dishes at any restaurant. To start, Ruth Frechman, a registered dietitian, nutritionist, and author of The Food Is My Friend Diet, reminds dieting diners to look on the bright side: “All foods can fit, meaning that it’s more about balance, variety, and moderation,” she says. If you want to know the calories and macronutrients in your food, Frechman suggests sticking with names you know. Chain restaurants are required by law to provide calorie counts and other nutritional information, so you can make informed decisions about what to order. Elizabeth Shaw, M.S., R.D.N., recommends the Greek Salad (400 calories, 36 g fat, 8 g saturated fat, 13 g carbohydrates, 5 g protein, 1,010 mg sodium) with added chicken for a punch of protein. What does Panera’s nutritionist eat at Panera? Katie Bengston, M.S., R.D.N., L.D., is Panera’s Nutrition Manager says her go-to breakfast is the fiber-packed Steel Cut Oatmeal with Strawberries and Pecans (340 calories, 14 g fat, 2 g saturated fat, 51 g carbohydrates, 6 g protein, 160 mg sodium). Pro tip: Bengston shares how to hack the Panera menu to suit your dietary preferences: “If you want to modify an order or create something not on the menu, just ask, or customize using our in-store kiosks, app, or when ordering online.” The online Eat Well, Your Way menus show which items are vegetarian, vegan, gluten-conscious, sodium-conscious, and protein rich. Cynthia Sass, M.P.H., R.D., has a go-to meal every time she travels: It’s a salad from Chipotle — hold the dressing — made with romaine, fajita veggies, black beans, mild salsa, and guacamole (415 calories, 23.5 g fat, 3.5 g saturated fat, 38 g carbohydrates, 12 g protein, 1,285 mg sodium). Sass likes that it’s “loaded with veggies, provides a healthy balance of carbs, protein, and fat, and is fiber-packed.” Sass, the author of Slim Down Now: Shed Pounds and Inches With Pulses — The New Superfood, loves that it also provides a serving of pulses, which have been shown to boost fullness and delay the return of hunger, she says. Pro tip: Check out Chipotle’s nutrition calculator, which allows you to see how slight changes to your order can affect your meal. For example, ditching the dressing on a salad can save you 270 calories. Once a coffee-centric spot, Starbucks is now solidly in the food game. Since there’s one on almost every block, it’s a convenient place to grab a bite. 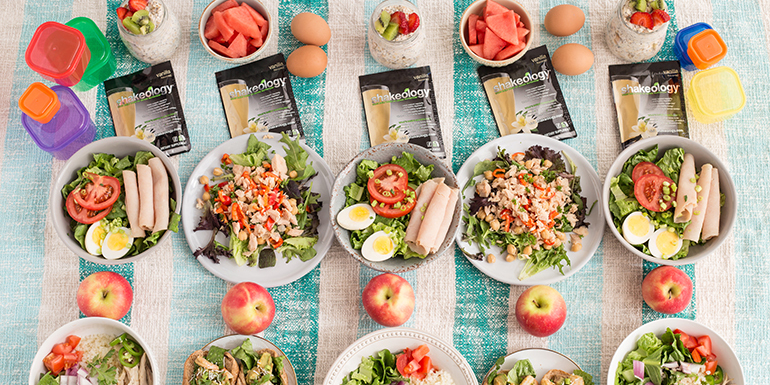 Jenna Braddock, R.D., of Make Healthy Easy, reaches for either the Protein Bistro Box: a hard-boiled egg, apple slices, grapes, white cheddar cheese, and multigrain bread with peanut butter (460 calories, 24 g fat, 7 g saturated fat, 40 g carbohydrates, 23 g protein, 530 mg sodium). Or the BBQ Chicken Bistro Box, which comes with a Power Slaw, made with broccoli, kohlrabi, carrots, beets, brussels sprouts, kale, and radicchio in a yogurt-lime dressing, plus apple slices and carrots. (420 calories, 16 g fat, 4.5 g saturated fat, 49 g carbohydrates, 22 g protein, 930 mg sodium). Braddock, a sports nutritionist, likes how these options offer a balanced meal, anchored in lean protein with a side of fruit and vegetables. However, “while there is no problem with having a delicious pastry and large mocha every once in a while, I would not qualify this as the best breakfast option to power you through your day,” she adds. “Oh, Cheesecake Factory,” sighs Abby Langer, R.D., owner of Abby Langer Nutrition in Toronto, Canada. “It’s notorious for having extremely caloric offerings.” Fortunately, she’s found a few options on the chain’s lower-calorie “SkinnyLicious” menu that features dishes with 590 calories or less (unfortunately, they don’t share info about macros). From this menu, Langer recommends the Shrimp Summer Rolls — but get them without the vermicelli inside — plus a grilled artichoke. She also recommends the Beets with Goat Cheese (easy on the cheese) with added chicken or the Chicken Lettuce Wrap Tacos. But she warns against the salads from the regular menu. Most of the meal-size salads are “chock-full of calories.” The Seared Tuna Tataki Salad is probably your best bet, but get the dressing on the side. If you can resist the fries, there are some healthy options at McDonald’s. Vandana Sheth, R.D.N., C.D.E., owner of VandanaSheth.com, opts for the Southwest Grilled Chicken Salad (350 calories, 12 g fat, 4.5 g saturated fat, 27 g carbohydrates, 37 g protein, 1,070 mg sodium) with a medium McCafé Latte made with nonfat milk (120 calories, 0 g fat, 18 g carbohydrates, 12 g protein, 135 mg sodium). Sheth likes this meal because it’s colorful, flavorful, and satisfying. “It would help me meet my target of enjoying a lot of veggies, while still meeting my carb and protein needs,” she says. “I would not use all the dressing provided with the salad and could therefore cut back on the overall calorie and fat,” Sheth adds. Ginger Hultin, M.S., R.D.N., says there are lots of good options at P.F. Chang’s. While portions are large, Hultin gets around that by taking home leftovers for another day or ordering off the kids menu. “I’ll stop by P.F. Chang’s if I’m out running errands or at a mall because it does have healthy dishes — if you know what to order,” she says. Hultin, a vegetarian, likes to start with the edamame with kosher salt (400 calories, 17 g fat, 2.5 g saturated fat, 25 g carbohydrates, 37 g protein, 1,960 mg sodium). “This is a perfect appetizer to share with friends,” says the Seattle-based dietitian who blogs at ChampagneNutrition.com. Note: It’s high in sodium, so ask for the salt on the side. If you want to move to soup next, be careful, says Hultin. “The difference in calories between a cup and a bowl is huge — four to seven times more calories depending on the soup. Always choose the cup.” A cup of the egg drop soup has 40 calories, 1.5 g fat, 0 g saturated fat, 6 g carbohydrates, 1 g protein, 450 mg sodium. Hultin’s go-to main dish is the steamed Buddha’s Feast (250 calories, 4 g fat, 0 g saturated fat, 32 g carbohydrates, 26 g protein, 300 mg sodium) with a side of brown rice (190 calories: 0 g fat, 40 g carbohydrates, 4 g protein, 0 mg sodium). Pro tip: When it comes to dessert, she recommends skipping it altogether here, as desserts range as high as 1,500 calories (practically a whole day’s worth of calories) and 36 grams of saturated fat (180 percent of the daily value). Thai Shrimp Salad without shrimp: Edamame, almonds, and a flavorful sauce. Even with shrimp, it is listed at 370 calories, 18 g fat, 2.5 g saturated fat, 31 g carbohydrates, 23 g protein, and 1,670 mg sodium. Southwest Grilled Chicken Salad: Corn, black beans, and greens (though she orders sans chicken, the lunch portion is 530 calories, 33 g fat, 7 g saturated fat, 33 g carbohydrates, 27 g protein, 1,810 mg sodium with chicken). Fire-Grilled Veggies side dish (160 calories, 13 g fat, 5 g saturated fat, 11 g carbohydrates, 3 g protein, 570 mg sodium) if you want an extra serving of vegetables. “The thing I like best about these options is that you can get some fresh greens and crisp vegetables into your meal,” she says. At IHOP, LeeAnn Weintraub, M.P.H., R.D., steers clear of the signature pancake dishes. Instead, the Los Angeles-based dietitian recommends opting for the Egg White Vegetable Omelette with fruit. “You can even add avocado to this meal and keep it under 500 calories,” she says. Plus, with 30 grams of protein, 30 grams of carbs, and 11 grams of fiber (plus 460 calories, 27 g fat, 6 g saturated fat, and 795 mg sodium), it’s a balanced meal. Minestrone soup (150 calories, 2.5 g fat, 0 g saturated fat, 27 g carbohydrates, 5 g protein, 1,130 mg sodium), and house salad with reduced-fat Italian dressing (40 calories, 1 g fat, 0 g saturated fat, 6 g carbohydrates, 1 g protein, 125 mg sodium). Pro tip: Check out the 55+ menu, which offers smaller portion sizes at lower prices for senior citizens. Olive Garden is famous for their endless breadsticks and salad, but it may be wise to opt for just their never-ending salads (dressing on the side). “At Olive Garden, I recommend the pasta primavera in marinara sauce, as there’s typically a lot of veggies,” says Vicki Shanta Retelny, R.D.N., who blogs at SimpleCravingsRealFood.com. Try it with a half-order of grilled fish or chicken breast for a boost of lean protein. Grilled chicken with pasta has 630 calories, 16.5 g fat, 1.5 g saturated fat, 74 g carbohydrates, 47 g protein, 960 mg sodium. Garlic Mussels Marinara (510 calories, 25 g fat, 4.5 g saturated fat, 41 g carbohydrates, 30 g protein, 1,360 mg sodium), which are lighter pasta and seafood dishes in tomato-based sauces. Retelny’s off-menu tips: Order extra steamed veggies to add to your pasta or a side salad to get a healthy dose of veggies with your meal, and ask for cheese on the side so that you can sprinkle it on yourself. Pro tip: Olive Garden offers a create-your-own pasta bowl, which means you can build a sensible dish with veggies, healthy seafood, and lighter tomato-based sauces. Outback Steakhouse offers an Under 600 Calorie menu, a Kids Live Well menu, and a nutrition calculator that you can peruse online before dining. The signature Joey Sirloin Medallions and Joey Grilled Chicken “on the Barbie” can be paired with steamed broccoli for a healthy balanced meal with reasonable portions (sirloin and broccoli has 280 calories, 11.5 g fat, 4 g saturated fat, 13 g carbohydrates, 36 g protein, 255 mg sodium; chicken and broccoli has 230 calories, 4 g fat, 1 g saturated fat, 13 g carbohydrates, 37 g protein, 245 mg sodium). Off the Under 600 Calorie menu, one of the best bets will be the Grilled Salmon with Seasonal Mixed Vegetables (550 calories, 35 g fat, 8 g saturated fat, 20 g carbohydrates, 43 g protein, 610 mg sodium). 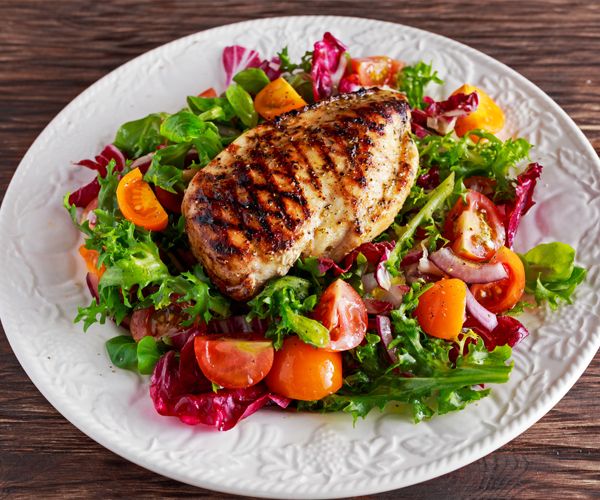 While Cracker Barrel isn’t overflowing with healthy options, you can cobble together a reasonable meal between chicken and seafood for the protein plus vegetable sides. The catfish runs 120 calories (5 g fat, 1.5 g saturated fat, 17 g protein, 1 g carbohydrates, 300 mg sodium). A side of green beans will run 60 calories (2.5 g fat, 1 g saturated fat, 1 g protein, 7 g carbohydrates, 310 mg sodium), while turnip greens are 100 calories (3.5 g fat, 1.5 g saturated fat, 6 g carbohydrates, 10 g protein, 370 mg sodium). Chicken Tenders (170 calories, 4.5 g fat, 1 g saturated fat, 27 g protein, 5 g carbohydrates, 640 mg sodium), with the Chicken n’ Dumplins Country Dinner Plate trailing behind because of its sodium levels (270 calories, 6 g fat, 1.5 g saturated fat, 29 g carbohydrates, 27 g protein, 1,520 mg sodium). It is possible to eat relatively healthy when you eat out, but there’s no substitution for cooking at home, where you control what ingredients (and how much) are going into your meals. But with some common-sense strategies — choosing dishes with healthier preparations (grilled, steamed, baked), watching portion sizes, and ordering meals with sauces and dressings on the side (or without ) — you can still enjoy the occasional meal out without abandoning your healthy eating plan completely. 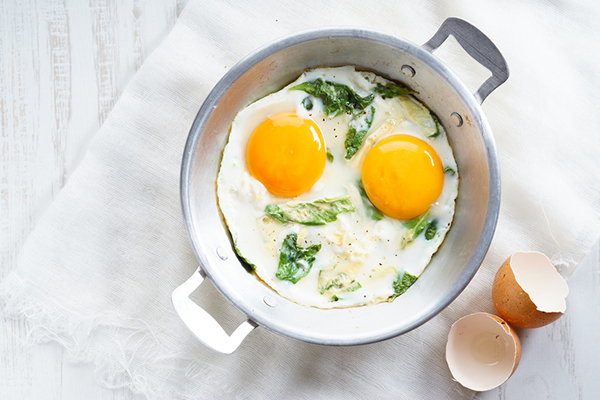 Is Excess Protein Making You Gain Weight? A review of several studies published in the Journal of the American College of Nutritionrevealed that it may be beneficial to partially replace refined carbohydrate with protein sources that are low in saturated fat because there’s convincing evidence that high-protein meals lead to reduced consumption, and increase thermogenesis (process of burning calories to generate body heat) and satiety. The Beachbody Portion Fix Eating Plan is a higher-protein diet that includes lean animal protein, such as 93–95 percent lean ground beef or turkey, reduced-fat turkey bacon, and 2-percent cottage cheese, as well as plant-based sources of protein as part of a healthy diet — and particularly for those who want to lose weight. You may have noticed that we have updated how treats and beverages are counted in the portion-control containers. Here’s a brief explanation of how the new system works. We think you’ll love it! If you have any questions, please don’t hesitate to ask our experts over at BeachbodyExpertAdvice.com! How will treats and beverages be treated differently in the portion-control eating plan? Treats and beverages will no longer all be summarily counted as yellow containers across the various portion-control eating plans. Instead, they will be categorized into the color that best suits their ingredients and/or macronutrients (protein, carbohydrates, and fat). Treats and beverages will still be limited to three-per-week, with the exception of Shakeology “bases” such as low-fat milk and unsweetened almond milk, which will be allowed once daily. We are also doing away with the “measure with this colored container but mark it on your tally sheet as another colored container” strategy for treats in favor of common measurements (e.g. “2 pieces” or “25 morsels”). Because many treats and beverages are ingredients in Beachbody recipes, the container counts for those recipes may also change. The portion-control eating plan has expanded exponentially since the original 21 Day Fix. While the old system works fine, the new system allows us to containerize our ever-increasing catalog of container-friendly recipes more precisely. It’s also a more educational approach in regards to what, exactly, is in food. Does this mean the old portion-control eating plans are not as effective? Absolutely not. These changes were made to make recipe containerization more precise and to enhance the educational value of these plans. Both systems provide the same, great results. We will be updating the various plans, recipes, and other content on BOD and the Beachbody Blog over the next few months. Please be assured that the two systems of treat and beverage measure are interchangeable, so if you are working from a revised program guide but want to enjoy a recipe that measures containers using the old system, it won’t impact your diet negatively. Will we be updating the nutrition guides and the Fixate Cooking Show? Yes. Over the following months, we will be updating all nutrition guides on BOD impacted by the changes. Where can I ask additional specific container and portion questions? For additional questions on how to implement these changes or about portion-control eating plans in general talk to our expert advice staff at BeachbodyExpertAdvice.com. Here are genericized lists to cover most portion-control eating plans. Customized lists will be featured in updated nutrition guides featured on BOD in the months to follow. Please note that if your program doesn’t currently have a treat list, this is not an opportunity to add one. Sorry. However, the “Shakeology Bases” list does replace the “Beverages” list. The Shakeology Base list helps you add a little pizzazz to Your Daily Dose of Dense Nutrition while doing the 21 Day Fix. Pick a fluid from the list below, add it to the Shakeology flavor of your choice, and tick off the corresponding container from your Tally Sheet (along with a red container for your Shakeology). Low-fat milk, 1–2% (8 oz.) - 1 Yellow, ½ tsp. Unsweetened Almond milk (8 oz.) - 1 tsp. Three times a week, you can have a treat or a tasty beverage. Simply help yourself to the amount listed after your treat, enjoy it in all its deliciousness, then check the corresponding container off your Tally Sheet. For example, if you decide to indulge in a few well-earned chocolate-covered raisins, count out 20 pieces, then check half of a purple and half of a yellow off your Tally Sheet. Peanut butter pretzel nuggets (12 pieces) - 1 Yellow, 2 tsp. So we’d like to remind you of a handful reasons to eat healthy that don’t include dropping a waist size or helping you carve washboard abs. 1. Improved Memory: Mediterranean diets — meal plans that are rich in leafy greens, fruits, veggies, seeds, beans, and monounsaturated fats — not only taste a billion times better than TV dinners, but they may also help boost attention span and stave off cognitive decline, according to research in the journal Frontiers in Nutrition. For the aging population, adding olive oil or nuts to meals may support cognitive function, according to one recent research study. 2. Fewer Cravings: Gulping down spinach won’t have the same immediate effect as it had on Popeye’s bulging biceps, but the greens can provide you with a nice dose of vitamins A, C, and K. A spinach extract standardized to thylakoids (a membrane found in spinach) was shown to help suppress appetite and longing for food. Researchers gave 60 overweight subjects either a five-gram dose of spinach extract or a placebo a week apart. Those who consumed the spinach extract were less hungry compared to subjects who gnawed on a placebo. 3. Improved Sexual Health: On average, Americans eat 16 grams of fiber per day, which would be a great achievement if it didn’t fall short of the recommended 21–38 grams per day. Along with aiding digestion and helping you stay regular (you know what we mean), there are other reasons to fill up on high-fiber fruits: some data suggests that guys who regularly snack on nature’s candy are 14 percent less likely to develop erectile dysfunction (E.D.). What’s a great, widely available higher-fiber fruit to try? We’ll make a case for pears: A University of Minnesota, St. Paul study found that pears can provide nearly 25 percent of your daily fiber intake, which is more fiber than that found in apples and bananas (they offer 17 percent and 12 percent, respectively). If you don’t like pears, or don’t have any fiber-filled fruit handy, Shakeology is another great source of fiber — it supplies about 24 percent of your daily fiber needs — and it’s sweet like fruit. You can tote it with you wherever you go, and shake it up with water (or use it in smoothies) for a quick hit of fiber, protein, and a ton of vitamins and minerals. 4. A Brawnier Think Muscle: The World Health Organization advocates limiting sugar to a max of 10 percent of your daily calories. Failing to scale back sugar intake has even been linked to an increased risk for heart disease-related deaths. Not so sweet, right? There’s more: Consuming too much sugar might also screw with your brain chemistry. UCLA researchers fed rats about a liter’s worth of fructose water each day for six weeks, during which time the sugar overload altered genes in the hippocampus (emotion, learning, and memory) and hypothalamus (hunger, thirst, and body temp.). The leap between drowned rodents in sugar water and humans drinking soda pop is a big one, but the alterations could potentially open the door for a number of negative health consequences. 5. Better Endurance & Recovery: Watermelons are known to provide L-citrulline, an amino acid cyclists took (via a supplement) for seven days at 2.4 g/day and once again before an exercise test in a study published earlier this year in the Journal of the International Society of Sports Nutrition. The L-citrulline supplementation reduced the time it took for cyclists to complete a cycle ergometer exercise trial. According to another small 2013 study, watermelons could help reduce muscle soreness. Researchers distributed 500 milliliters (total) of watermelon juice to seven athletes an hour before they exercised. The lifters who chugged the melon juice reported experiencing less soreness in the following 24 hours. 6. A Better Mortality Rate: Granted, nobody can predict when a piano might fall on someone’s head or if the Death Star will strike a planet, but the New England Journal of Medicine studied the nut consumption of 119,000 people. In this observational study there was an inverse association of nut consumption with mortality. However, this type of epidemiological observational study only highlights associations and not causality. 7. A Happier and More Creative Existence: The British Journal of Health Psychologyhad 405 volunteers snack on fruit, vegetables, sweets, and chips for nearly two weeks, and log their meals online. The outcome: People who stuffed their maws with more fruits and veggies reported a better overall well-being. 8. More Energy And Quality Zzzzzzzs: Want to feel happier, be more energetic, and improve sleep quality? Slashing calorie intake might do the trick. Researchers studying long-term calorie reduction found that subjects who cut back 25 percent over a two-year period improved in all three aforementioned areas. Unsurprisingly, the calorie reduction also translated to weight loss — an average of about 17 pounds. OK, so this last point did talk about weight loss. But, that’s a happy side effect that can result from eating clean. Granted, many people use weight loss as their initial motivation to improve their diets, but if they stick it out long enough, they can reap all of these other benefits that go beyond the superficial.